Beverly Hirschhorn, Longmeadow Director of Public Health is the guest on a new LCTV show called "The Upside" moderated by Paul Santaniello. In this week's segment Ms. Hirschhorn provides an update on seasonal + H1N1 virus season. Click here if you want to view the above video using Windows Media Player. Plastic Fences Make Good Neighbors ? 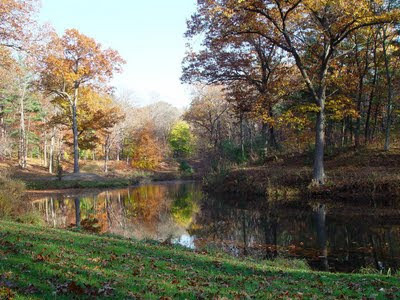 As I drove through Longmeadow this past week I spotted the many signs of the fall season. 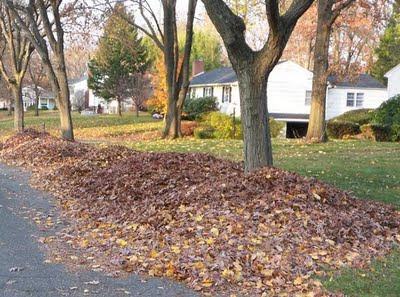 In addition to all of the trees still ablaze with remnants of a spectacular season of fall colors, there are the many different methods that abound in Longmeadow for dealing with the leaves after they fall. 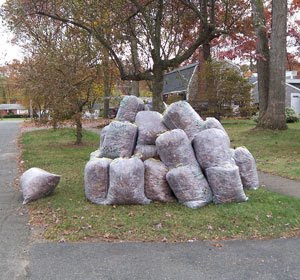 Longmeadow for many years has not collected leaves at curbside so residents have had to make their own arrangements. 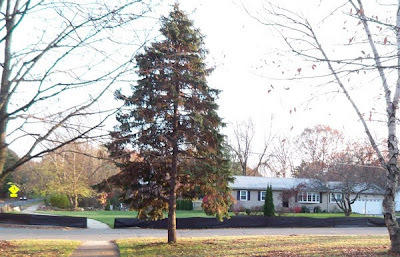 It will be interesting to see how effective adding a 3 ft plastic fence around the perimeter of your property is to reduce the volume of leaves. Perhaps, next year this will become a new "sign" of fall in Longmeadow.